REDUCED!!! Up to 100% finance available! 3 bed townhouses Ferragudo - Property for sale. Full Description: Excellent investment opportunity! 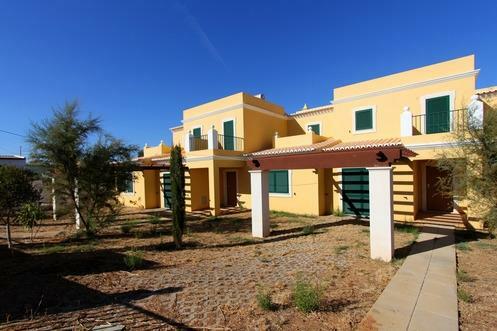 These 2+1 bedroom new townhouses are located in the popular village of Ferragudo. With all amenities in easy walking distance, close to the beach, the river Arade and the future Marina they offer spacious accommodation for permanent living or holidays. In a small private condominium of only 7 houses with communal swimming pool and gardens, each house has 177 sq metres plus 39 sq metres of private terraces. Each has a fully fitted and equipped kitchen, pre installation for central vacuum and air conditioning, double glazing, shutters on all doors and windows, private garage plus storage under each house with space for 3/4 cars and much more. The houses are being offered with finance up to 100%. Prices from 255,000 to 305,000 Euros. Do not miss this outstanding offer! Early viewing recommended.